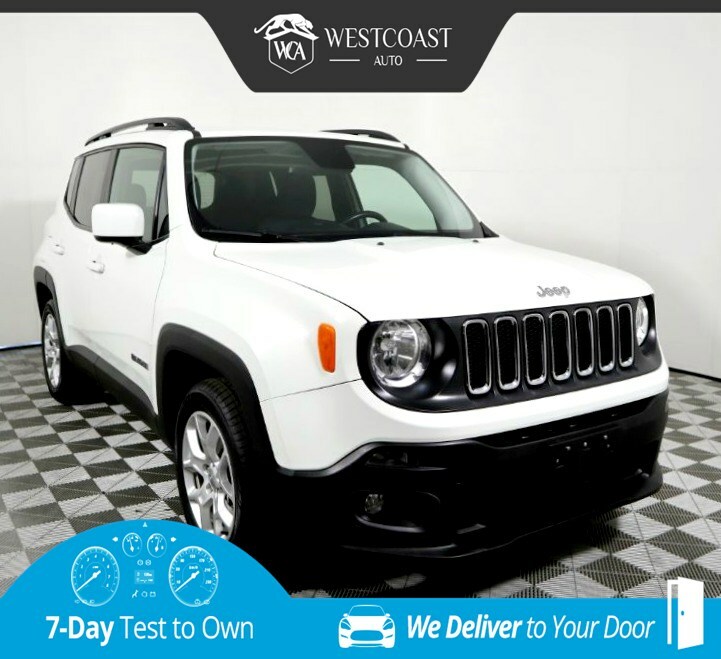 Step up to adventure with our One Owner, Clean CarFax 2017 Jeep Renegade Latitude that's presented in Alpine White over Grey interior! Powered by a 2.4 Liter 4 Cylinder that offers 180hp while matched with an innovative 9 Speed Automatic transmission for easy acceleration. Our Front Wheel Drive combination provides a comfortable ride with car-like handling and near 31mpg on the open road plus is ready to roll with an aggressive stance and fun-loving character accented by classic Jeep styling. No matter whether you're exploring new trails or out on the town, it turns heads with an iconic grille, deep-tint glass, and tough alloy wheels. Our Renegade has a reputation for safety with anti-lock brakes, traction/stability control, airbags, and hill start assist. This is a wonderful combination of rugged good looks, practicality, capability, fun, and comfort that you must see for yourself. Print this page and call us Now... We Know You Will Enjoy Your Test Drive Towards Ownership! Great quality, easy financing and affordable prices aren't the only things that make Westcoast Auto Sales the first choice of many discerning auto buyers. Stop in and See California's Dealer of the Year!